Airbnb Open is an annual festival for our travel community that celebrates hosting and hospitality. The Airbnb Open LA visual identity system was inspired by the magic hour transition of day to night and the beautiful city of Los Angeles. We used the contrasts of sunlight and sharp shadows, rich sunsets and vibrant artificial light as the core elements of the system. 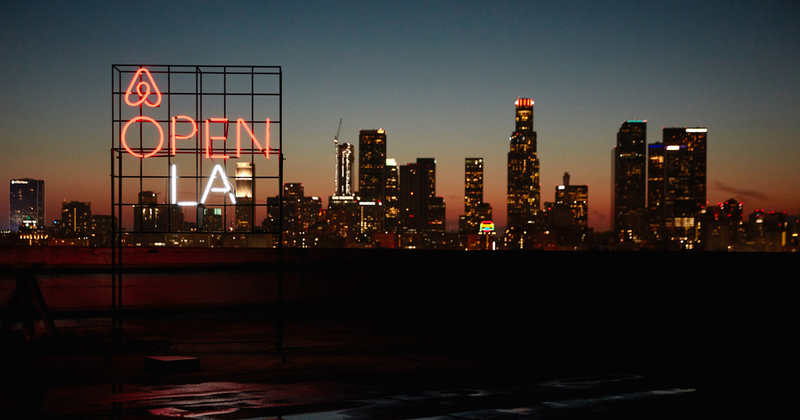 Downtown LA, where we’re hosting the event, is also full of stimulating visual culture and history and that inspired a suite of custom typography created just for Open. Learn more about Airbnb Open here.